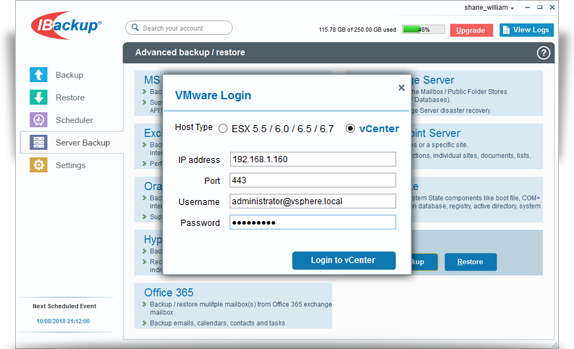 IBackup's VMware backup is an easy, secure and one of the most reliable solutions to backup virtual machines of any size with incremental backups. Select the ESX 5.5 / ESX 6.0 /ESX 6.5 / ESX 6.7 radio button. 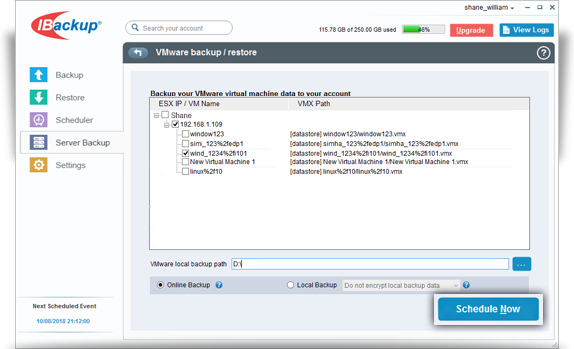 Select the virtual machine(s) from the list, which appears, and specify the temporary backup path. Select 'Online Backup' or 'Local Backup' radio button, and click 'Schedule Now'. The Schedule backup screen appears. 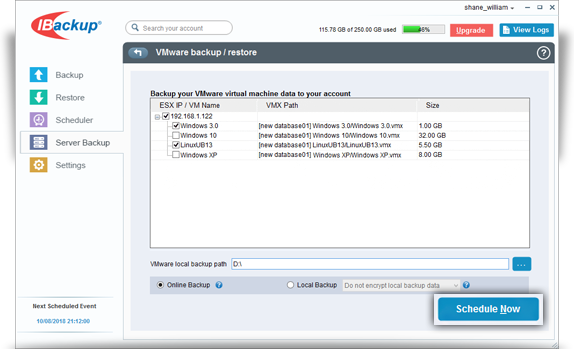 Either schedule the backup for any future day and time or perform an immediate backup of the selected virtual machines. 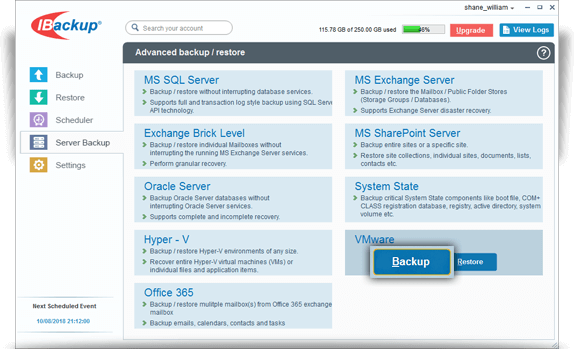 Log in to the IBackup application and click the 'Server Backup' tab. 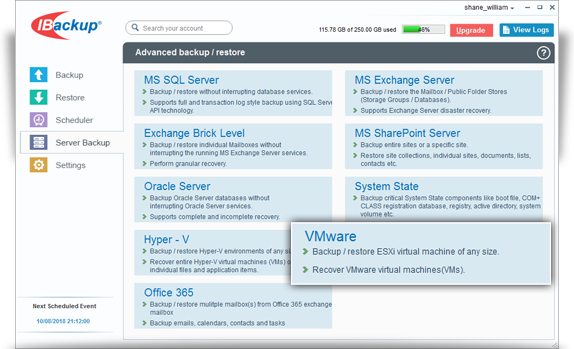 In the VMware Backup section, click 'Backup'. The VMware login screen appears.